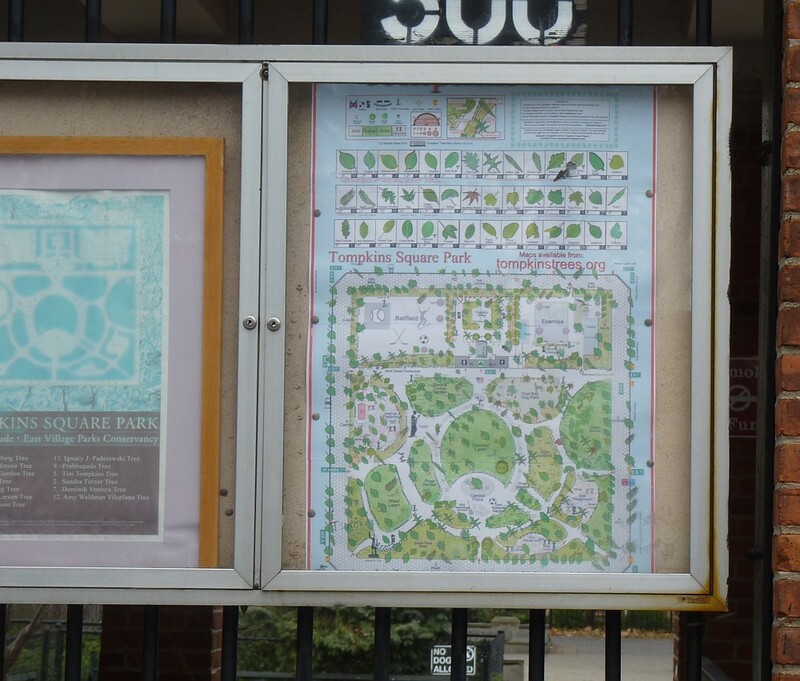 Happy Elm news in Tompkins Square Park. 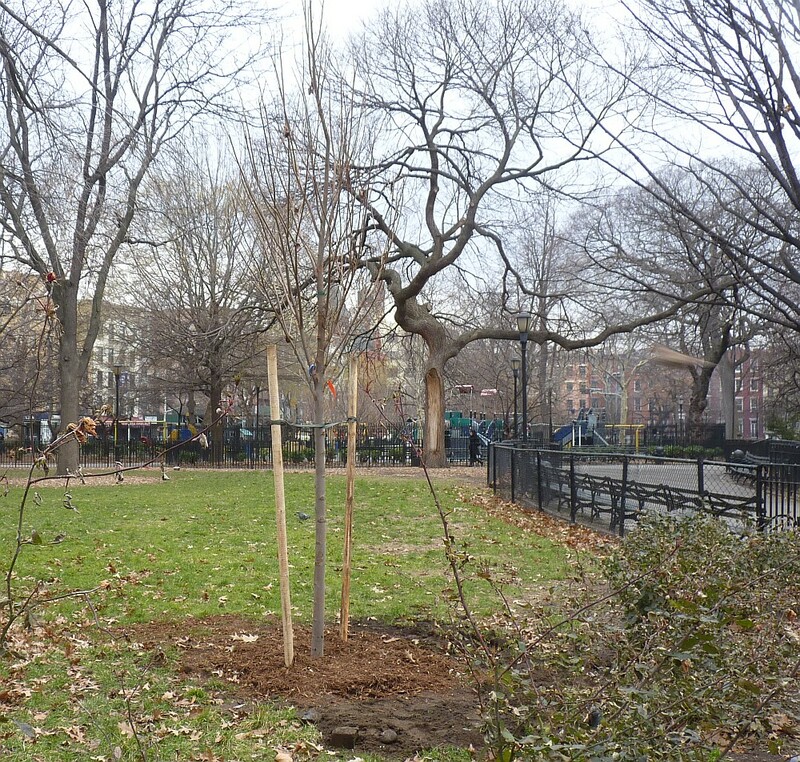 Two blight resistant American Elms were planted in the park this morning. Debby the Parks gardener called me this morning to tell me the news and I rushed out to capture the event. According to Wikipedia: The American Elm Ulmus americana cultivar ‘Princeton’ was originally selected in 1922 by New Jersey nurseryman William Flemer for its aesthetic merit. 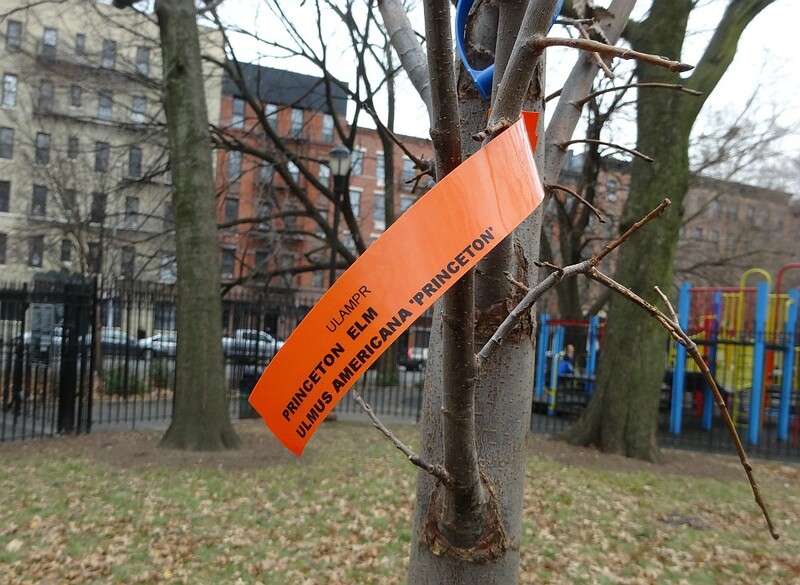 By coincidence, ‘Princeton’ was later found to have a moderate resistance to Dutch elm disease. Two trees were planted, this one is in the West Lawn. In the background you can see the American Elm whose branch split off last year and crashed down on the benches there, narrowly avoiding killing a bench sitter. I interviewed Sheila Rothenberg Project Manager for Works in Progress NYC. They are printing the tee shirt I designed for the Tompkins Trees Project. Tee shirt is available ournature.co/shop/tompkinstrees Profits from the sale of the tee shirts go to help the Tompkins Trees Project.